Silence is golden and noise reduction in a diesel generator can be an art form that includes special attention to insulation, housing, air flow and aesthetics. 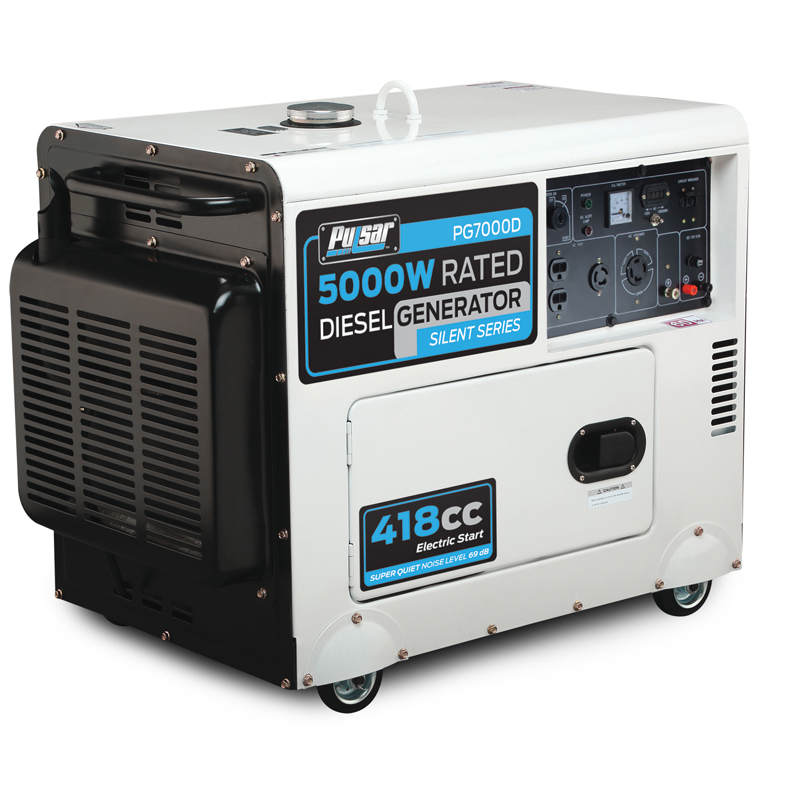 The Pulsar PG7000D takes all of these into consideration and has developed a 5000 watt diesel generator that operates at just 70 dB or less than many gasoline models. Add to this a four gallon fuel tank that will allow the unit to operate for up to 9.5 hours between refills, easy-to-read fuel gauge, maintenance free battery, mobility kit and five outlets for everything from 120 to 240 to 12 volt operation and you have a quiet giant willing to serve for many years to come. Engine Run Time @ Half Load: 9.5 Hrs.